Looking for Motor Overload Relays? Get a quote fast. Optimize and protect your motor. Motor overload relays are used to provide motors with protection against damage caused by overloads. Whether it’s a thermal overload, a current overload or a power overload, motor overload relays are designed to open a normally closed circuit whenever it experiences an overload of a specific type. Motor overload relays have adjustable current ratings, making them versatile enough to use across many industrial and commercial applications and wherever motor control is required. These relays can be reset automatically or manually. Choosing your motor overload relay. Motor overload relays are built to meet both IEC and NEMA standards. IEC relays tend to be smaller in size while also being less expensive, and they also offer single phase detection. NEMA relays are bigger in size but are more rugged and can better withstand overloads; however IEC motor overload relays can detect overloads much quicker. NEMA relays are more widely applicable across different operations, while IEC relays are designed more precisely for specific applications. NEMA relays are also ranked according to how quickly they must trip, and are ranked as one of three classes: Class 10, class 20, or class 30. Both NEMA and IEC motor overload relays can get the job done, it’s just a matter of application, personal preference and motor requirements. Treat your motor right at Bay Power. Make sure you get the most out of your motor with a motor overload relay. Our extensive selection of motor overload relays has something for everyone. 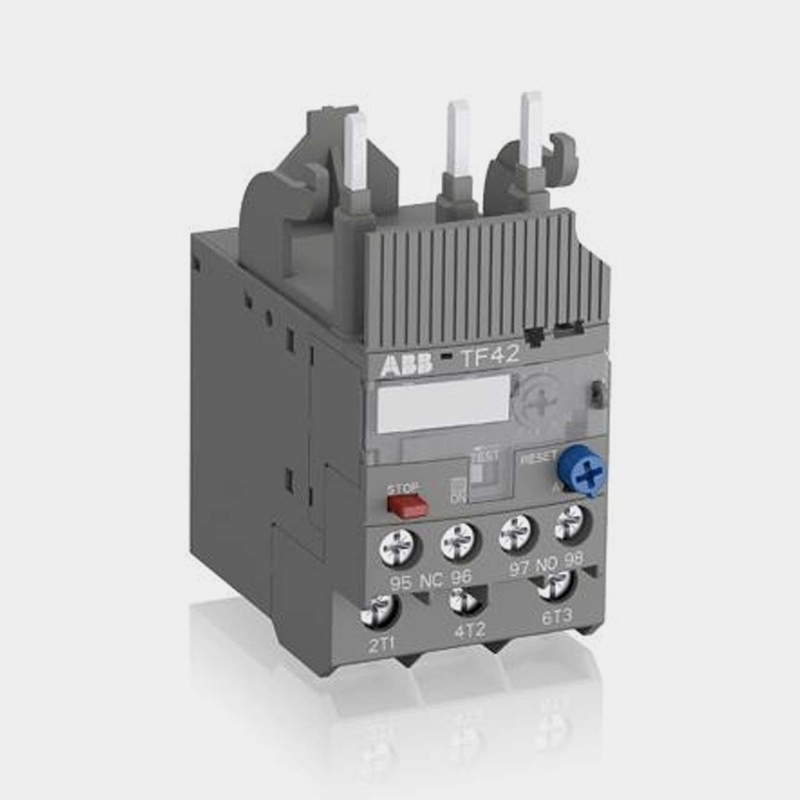 Choose from our lineup of top of the line products from leading relay manufacturers including ABB motor protection relays, GE motor protection relays, Allen Bradley safety relays, Jokab safety relays and other top brands like Thermistor, Crydom, Pilz and more. With our quick shipping and one-year replacement warranty, when you buy a relay switch with Bay Power, you buy with confidence. Have any old or unused Motor Overload Relays lying around? Don’t get rid of them just yet. While we stock a wide range of quality electrical products and solutions, both new and reconditioned, we also buy back your unwanted equipment. So, before deciding what to do with your old Motor Overload Relays and components, have one of our expert technicians take a look to see if we can save a few parts, save the environment, and save you some cash. Great service shouldn’t end after the purchase. We pride ourselves on the relationships we build with our customer-first mentality and the quality of our Motor Overload Relays and components. That’s why we offer a 1-year replacement warranty on all of our electrical products and solutions from the top manufacturers. Because when you buy with Bay Power, you buy with confidence. We are proud to stock a variety of competitively priced, new and reconditioned components from the leading manufacturers of Motor Overload Relays. Thanks to our extensive inventory of Motor Overload Relays and components, our resourceful and expertly trained staff will always be able to get the products that you need. Through our extensive network of suppliers, we are able to carry and acquire a huge variety of electrical products and solutions, so chances are if you need it, we can get it. Bay Power’s priority is providing you with reliable, high quality electrical hardware. That’s why our mission is to make sure our reconditioned electrical products and solutions function as perfectly as the day they were built. Because while the quality is high, the cost of Motor Overload Relays shouldn’t be. Our selection of new surplus Motor Overload Relays may not arrive brand new in a box, but they function just as well, and have never had electricity run through them. All of the quality, none of the packaging, always with our 1-year replacement warranty.